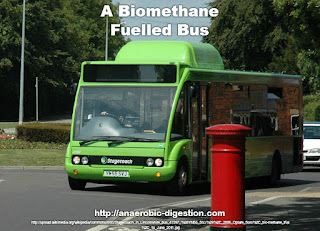 The definition of biomethane is quite a difficult one, because there are competing definitions. According to the general dictionaries dotted around the web, the term "biomethane" is interchangeable with the word "biogas". However, in technical use among energy professionals and commentators, this is not correct. Biomethane is really a particular pure form of biogas, which is only produced after high quality further purification of raw biogas. This purification is usually referred to as "biogas upgrading", and this is performed in an "upgrader". Lesson 2. What is a Biogas Upgrader? A biogas upgrader is a particular type of gas treatment unit that is used to concentrate the methane in biogas to natural gas standards (those being the high purity levels of "natural gas" as produced by capturing fossil fuel reserves). These upgrading treatment systems remove carbon dioxide, hydrogen sulphide, water, and other contaminants found in tiny (trace) quantities, from the biogas, to meet standards for "natural gas" quality, as issued by the gas grid distribution companies. One technique for doing this utilizes what is known as amine gas treating, to purify biogas to become biomethane. To put it simply, it can be used interchangeably with natural gas in gas distribution grids. Amine treating is not the only way to produce biomethane from biogas, and recently membranes have been developed which perform this function very efficiently. At this point I can hear my readers saying: "Haven't I also read about biomethane buses as well as biogas powered engines, so what's the difference". To understand the nuances of meaning in the different uses of these words, a distinction must be drawn between basic treatment of raw biogas, which is needed, for example for use in a biogas combined-heat-and-power (CHP) plant to run a gas-engine, and the more technologically advanced treatment needed to produce natural gas quality (biomethane). Suitably corrosion resistant gas-engines can be powered by untreated raw biogas, but put that biogas through a normal vehicle engine, and the life of the engine will suffer, hence both biogas and biomethane is used to fuel transport vehicles. But, the degree of ruggedisation needed for raw biogas use as a transport fuel is greater (and the engines are more costly), than the use of biomethane which is equivalent to using compressed natural gas CNG. It is both environmentally preferable and economically justifiable to distribute this CNG made from biogas. Rather than using the term of CNG though, the energy industry is starting to use the term bio SNG, for biogas Synthetic Natural Gas. Bio SNG is best distributed together with natural gas in the existing gas grid. The production of renewable gas, at accredited biomethane quality, is injected into the nearest gas main, and paid for by the local gas supplier company. The biomethane price paid will vary according to the market and any green subsidies available locally. The large scale production of renewable biomethane now coming on-stream, is produced through anaerobic digestion (biogas), followed by methanation to create bio SNG, or by gasification. Biogas has, most of the time until now, been used directly in biogas cogeneration plants. This already requires desulphurisation and de-humidifying in order to avoid corrosion in the CHP. However, to be able to feed biogas into the natural gas network, or use it as a transport fuel a more comprehensive method of treatment is necessary. Added to the need for drying and desulfurization, the carbon dioxide must be removed, and chemical conditioning undertaken to obtain gas quality properties which meet the specifications for natural gas. This biomethane is more and more, being injected into the natural gas network, and converted to electricity and heat through a CHP unit. Efficiency of heat production is best served when the gas is burnt at a place close to where the thermal energy can be used. A good use would be, for example, in heating a swimming pool, as these have an almost constant year-round, and large, heat demand. We mentioned gasification technologies earlier and these are well established for conventional feedstocks for example, as coal and crude oil. The technology used in these processes has been advancing rapidly in recent years, producing a second generation of gasification technologies. These include gasification of, waste wood, forest and agricultural residues, energy crops and may also extend to black liquor. When gasification takes place the output is normally known as "syngas". Syngas undergoes further synthesis to create biomethane. This for example can take the form of, Fischer Tropsch products including the possible conversion of biomethane into diesel fuel, biomethanol, BioDME (dimethyl ether), or gasoline using catalytic conversion of dimethyl ether, or biomethane (Synthetic Natural Gas) (SNG). Syngas can also be used for heat production, and it is increasingly being used for generation of mechanical and electrical power using gas motors or gas turbines. … the development of a growing, profitable, and sustainable market for vehicles powered by natural gas or biomethane. NGVAmerica represents more than 200 companies, environmental groups, and government organizations interested in the promotion and use of natural gas and biomethane as transportation fuels. Our member companies are those that produce, distribute, and market natural gas and biomethane across the country; manufacture and service natural gas vehicles, engines, and equipment; and operate fleets powered by clean burning gaseous fuels." The UK has subsidies which are currently being been made available for biomethane upgrading under the (Renewable Heat Incentive RHI) and/ or for the "Renewable Heat Incentive" scheme, which has been on-sale since March 2011. The UK government has just announced that the initial part is solely for non-domestic applications. "… the owner of the installation, or the producers of the biomethane for injection, are the people to whom the payments claimed are paid to, and payments will be made over a 20 year period". 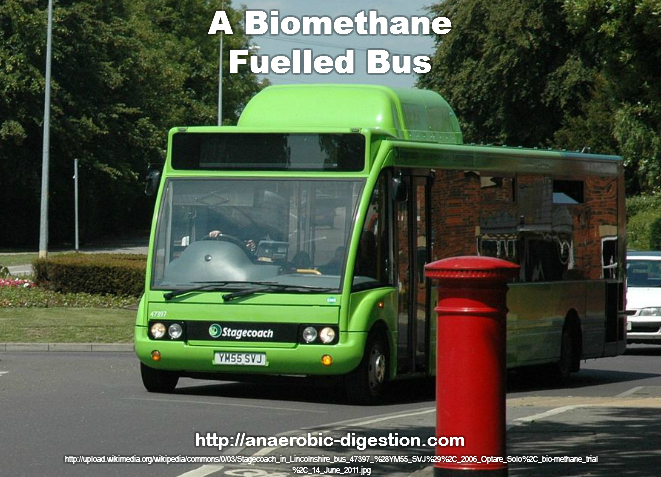 By reading this article, and our 10 Lessons, you will have learnt a lot about "biomethane". We think that this will be a very useful knowledge for you to have, because biomethane production, with injection into the local natural gas supply grid, is here to stay. After-all how many other businesses create a product for which there is unlimited demand, and once connected into the gas grid needs no selling! Simply read the meter of the flow into the gas grid and charge the gas supply company!